Love Throne of Glass? 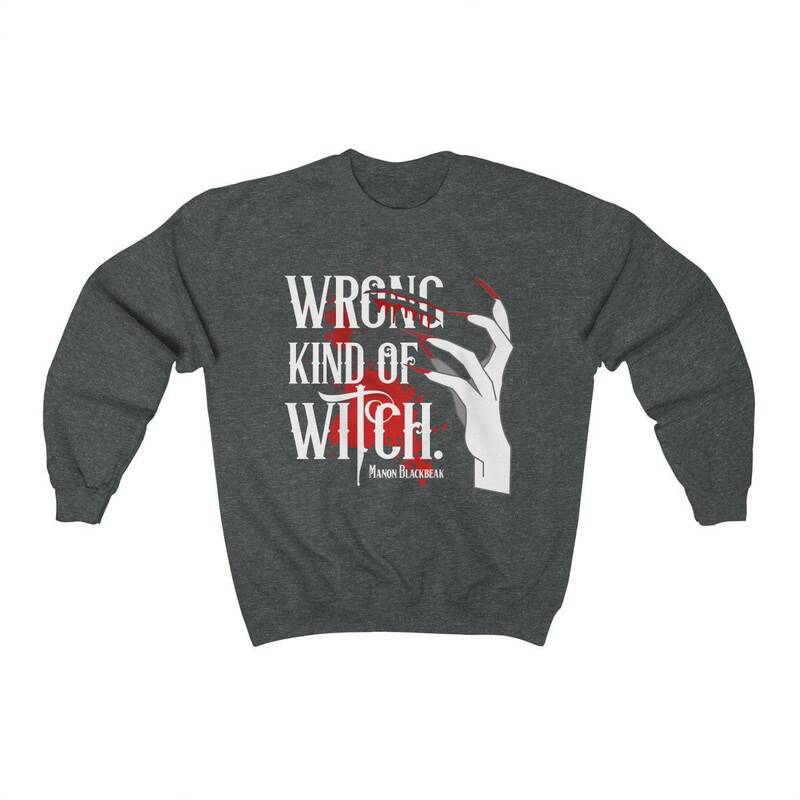 Get our "Wrong Kind of Witch." Manon Blackbeak sweatshirt. This designs can also be purchased as a tank top or shirt! Available in Black and Dark Heather. 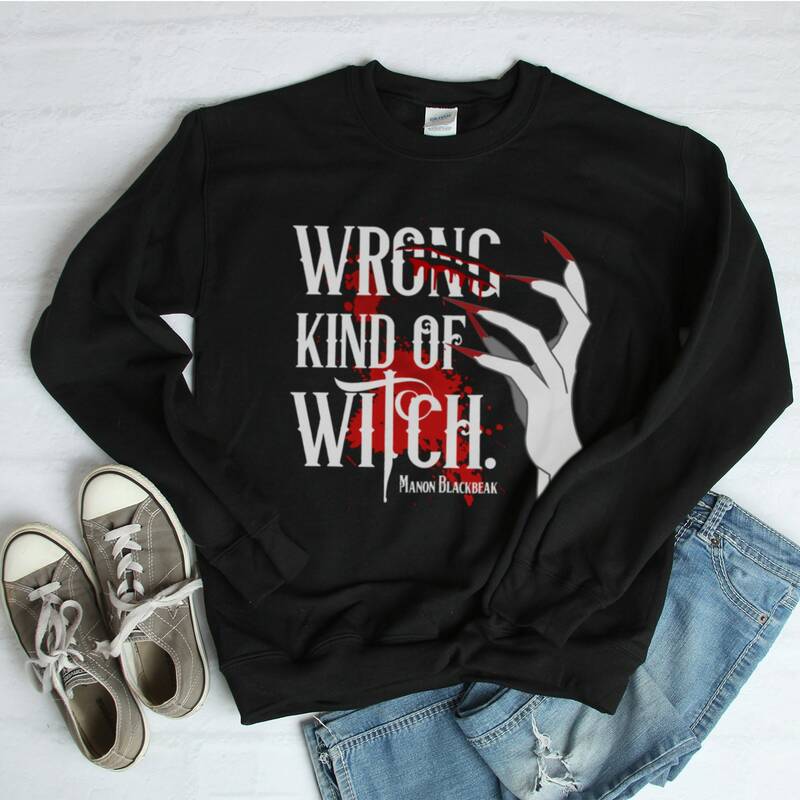 The perfect gift for all your Ironteeth Witches friends! 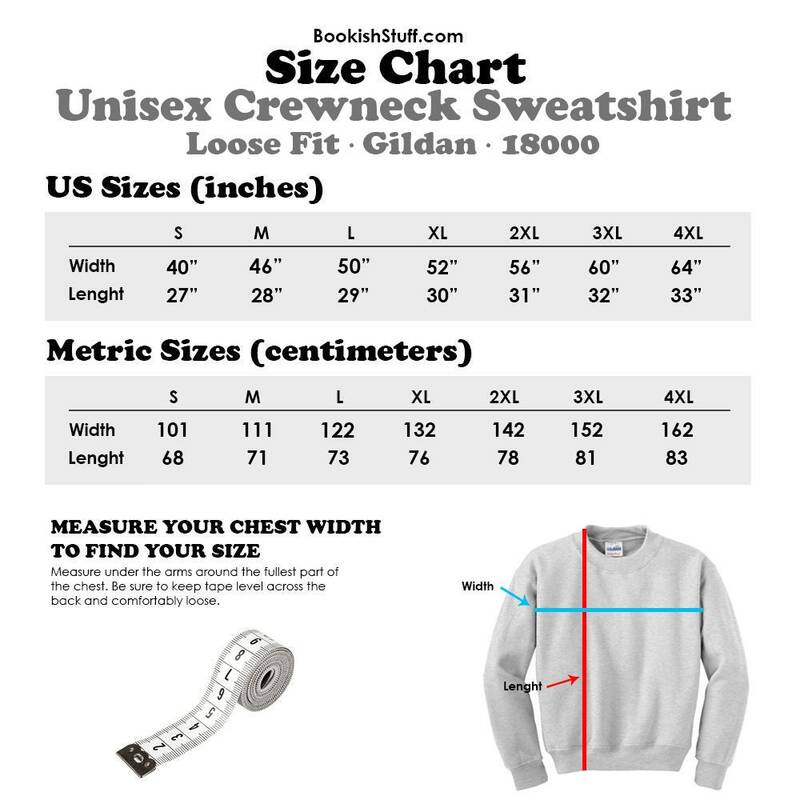 This soft sweatshirt has a loose fit for a comfortable feel. Heather & Vintage Colors: heather refers to interwoven yarns of mixed colors producing flecks of an alternate color. It is typically used to mix multiple shades of grey or grey with another color to produce a muted shade (e.g., heather green), but any two colors can be mixed, including bright colors. Meaning any of our shirt colors that are described as HEATHER are in fact NOT solid colors but a mix of two or three color yarns. Our "Heather White" shirts are closer to light gray than they are to solid white. Colors with the word "Vintage" on them also refer to HEATHER fabrics. Meaning "Vintage Black" it's a mix of black and gray yarns and the final color it's a vintage black.